Twelve years ago, a 150-second TV broadcast changed our world; everyone everywhere owes a debt of gratitude to the man whose life it turned upside down - in his effort to protect ours. have undergone sufficient testing and form no danger to public health. however, this is a blatant lie. Big public companies have commercial interests that result in censored research results and crucial questions that go unanswered. Microbiologist Àrpàd Pusztai found 36 significant differences between rats that had eaten genetically modified potatoes and rats that had eaten "normal" ones. Among the first group the liver was less well-developed, but when Pusztai announced this in a television interview, he was fired. After publication of negative research data in Nature magazine, his colleague Ignacio Chapela was attacked online in a viral marketing campaign to discredit his results. The editors of Nature proceeded to write an editorial admitting that they should not have published the data, bringing their prestigious publication's independent reputation into question. The same applies to universities that accept large sums of money from businesses performing food research. Can scientists still be trusted? On August 10, 1998, eminent scientist Dr. Arpad Pusztai (pronounced Poos-tie) dared to speak the truth. He had been an enthusiastic supporter of genetic engineering, working on cutting edge safety research with genetically modified (GM) foods. But to his surprise, his experiments showed that GM foods were inherently dangerous. When he relayed his concerns during a short television interview in the UK, things got ugly. With support from the highest levels of government, biotech defenders quickly mobilized a coordinated attack campaign trying to distort and cover up the evidence. It worked for a while, but when an order of Parliament lifted Dr. Pusztai's gag order, the revelations touched off a media firestorm that ultimately kicked GM foods out of European supermarkets, and derailed the industry's timetable to quickly replace virtually all food with genetically engineered alternatives. I recount the dramatic story of Dr. Pusztai below. In Part 2 far below, I respond point-by-point to the biotech industry's denial and spin over the Pusztai affair, which is still being hyped in their new attack website. By early 1996, genetically modified tomatoes had been sold in US supermarkets for more than a year, and GM soy, corn, and cottonseed were about to be widely planted. The UK government was about to change all that, and Hungarian born chemist Dr. Arpad Pusztai was their man to do it. He beat out 27 competing scientists for a £1.6 million grant to develop a safety testing protocol; it was supposed to eventually be required for all GM food approvals in Europe. Pusztai's team was working with the vegetable equivalent of a James Bond car - complete with built-in weaponry. A potato was outfitted with an assassin gene from the snowdrop plant; the gene produced "GNA lectin," a protein that kills insects. How did Dr. Pusztai feel about the fact that his prestigious Rowett Institute was preparing to release killer potatoes into supermarkets worldwide? Fine, actually. He knew that the GNA lectin was harmless - not to insects mind you, but to us mammals. Dr. Pusztai was the world's leading expert on lectin proteins, and the GNA lectin was the one he knew most about. He had studied it for nearly seven years. But when Dr. Pusztai fed the GM potato to rats using his new safety testing protocol, he got a shock. Nearly every system in the rats' bodies was adversely affected - several in just 10 days. Their brains, livers, and testicles were smaller, while their pancreases and intestines were enlarged. The liver was partially atrophied. Organs related to the immune system, including the thymus and the spleen, showed significant changes. Their white blood cells responded to an immune challenge more slowly, indicating immune system damage. In all cases, the GM potato created proliferative cell growth in the stomach and small and large intestines; the lining was significantly thicker than controls. Although no tumors were detected, such growth can be precancerous. Dr. Pusztai and his team knew that the GNA lectin had not caused the damage. Other rats had been fed natural potatoes spiked with the same amount of GNA insecticide that the GM spud produced - and they did fine. The control group fed natural potatoes without added lectin were also in good shape. And in a previous experiment, Dr. Pusztai had fed rats an enormous quantity of the lectin, about 700 times the amount produced in the GM potato, again with no effect. The damage to the rats, it appeared, came rather from the unintended side effects of the genetic engineering process. These effects (from gene insertion and cell cloning) may include massive collateral damage in a plant's DNA, with hundreds or thousands of mutations. Important natural genes can be inadvertently turned off, permanently turned on, deleted, reversed, scrambled, moved, fragmented, or changed in their activity level. Dr. Pusztai wanted to find out precisely what went wrong in his potatoes, so he asked the government to provide more funds to conduct follow-up studies. But Prime Minister Tony Blair, his ministers, and his entire political party, were all unapologetic biotech cheerleaders trying desperately to promote them to a skeptical public. Exposing problems with GMO technology wasn't on the government's agenda. Additional funds were not forthcoming. The UK television show "World in Action" asked Dr. Pusztai for an interview. With permission from his Institute's director, he spoke generally about his concerns with GMOs based on the findings. He was careful not to reveal the details of his study, which was still unpublished. His 150-second interview was aired on August 10, 1998. The European Press went wild and Dr. Pusztai was propelled to the status of hero at the Rowett Institute. "a range of carefully controlled studies underlie the basis of Dr. Pusztai's concerns." On the afternoon of August 11th, two phone calls were allegedly placed from the UK prime minister's office, forwarded through the Institute's receptionist, to Professor James. Dr. Pusztai's hero status was revoked. The next morning, the director suspended Dr. Pusztai after 35 years of service. He was silenced with threats of a lawsuit and his twenty member research team disbanded. The government never implemented their GMO safety testing protocol. The Institute released numerous statements, some contradicting each other, others misrepresenting the research, but all designed to discredit Dr. Pusztai and the implications of his findings. Seven months (and one heart attack) later, Dr. Pusztai's gag order was lifted when the Parliament invited him to testify. As the true details of the study began to emerge, the media responded. About 750 articles on GMOs were pumped out within the month. Biotech advocates swung into action. "an astonishingly detailed strategy for spinning, and mobilizing support for" GM foods. "One of [the] ministers' main concerns," said the report, "was to rubbish research by Dr. Arpad Pusztai." The ministers' campaign relied on the participation of certain scientists, including those in the Royal Society, who could voice uncompromising support for GMOs. According to the newspaper, many of these scientists, while promoted as "independent," had received compensation directly or indirect from the biotech companies. The Independent admonished the government's actions as a "a cynical public relations exercise." But the spin campaign was too little, too late. By the end of April 1999, just 10 weeks after Dr. Pusztai's gag order was lifted, the public's distrust of GMOs reached a tipping point. Use of GM ingredients had become a marketing liability. Within a single week nearly every major food company committed to stop using GMOs in Europe. With his data finally returned to him, Dr. Pusztai and a colleague submitted their paper to a renowned scientific journal, The Lancet. "there was intense pressure on The Lancet from all quarters, including the Royal Society, to suppress publication." The paper passed the peer review and was set to appear on October 15, 1999. On October 13, Horton received a call from a senior member of the Royal Society. "said the phone call began in a 'very aggressive manner.' He said he was called 'immoral' and accused of publishing Dr. Pusztai's paper which he 'knew to be untrue.' Towards the end of the call Dr. Horton said the caller told him that if he published the Pusztai paper it would 'have implications for his personal position' as editor." "identified him as Peter Lachmann, the former vice-president and biological secretary of the Royal Society and president of the Academy of Medical Sciences." Lachmann had been one of the co-signers on the Royal Society's open letter attacking Pusztai. He also had extensive financial ties to the biotech industry. In spite of his threats, The Lancet went forward with publication. In the years since this controversy, Dr. Pusztai has given more than 200 lectures around the world on GMOs. He has been commissioned by the German government, academic publications, and others to do comprehensive analyses of GMO safety studies. In 2005, he received the Whistleblower Award from the Federation of German Scientists (VDW). And in 2009, he and his wife, Dr. Susan Bardocz - also an expert on GMO safety and formerly of the Rowett Institute - were presented with the Stuttgart Peace Prize for their tireless advocacy for independent risk research, as well as their courage, scientific integrity, and their undaunted insistence on the public's right to know the truth. "All of us asked for independent, transparent and inclusive research into the safety of GM plants, and particularly those used in foods. There is not much sign of this either. There are still 'many opinions but very few data;' less than three dozen peer-reviewed scientific papers have been published describing the results of work relating to GM safety that could actually be regarded as being of an academic standard; and the majority of even these is from industry-supported labs..."
Although pro-GM governments and the biotech industry continue ignore the mounting evidence of harm, there is now a movement among many medical doctors, scientists, and the public, to reject GM food, create a tipping point of consumer rejection against them in North America, and put GMOs back into the laboratory where they belong. I describe Dr. Pusztai's story in more detail in the first chapter of Seeds of Deception. His findings are also featured among the 65 documented health risks of genetically modified organisms (GMOs) in Genetic Roulette - The Documented Health Risks of Genetically Engineered Foods. That's the upshot of a new website created on behalf of the biotech industry by GMO advocates Bruce Chassy and David Tribe. While they attempt to discredit the scientific evidence in Genetic Roulette: The Documented Health Risks of Genetically Engineered Foods, instead they offer priceless examples of distortion, denial, and spin. Their site is yet another example of why we can't trust GMOs, Monsanto, or the so-called scientists who support them. 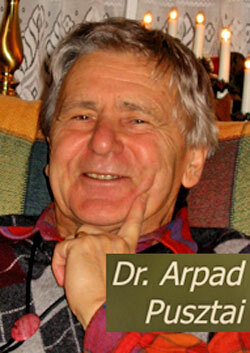 In Part 1 above, I recounted the story of scientist-turned-whistleblower Dr. Arpad Pusztai. Here, I provide a point by point refutation of Chassy and Tribe's unwarranted attack on Dr. Pusztai and their distortion of his findings. Dr. Pusztai's research design had already been used in over 50 peer-reviewed published studies conducted at the Rowett Institute, the most prestigious nutritional institute in the UK. Furthermore, the design was explicitly approved in advance by the Biotechnology and Biological Sciences Research Council (BBSRC) - the UK government's main funding body for the biological sciences. But Chassy and Tribe instead reference their partners-in-spin from the Royal Society. As indicated in Part 1, at the Society there are plenty of scientists with close ties to the biotech industry who came in quite handy during the Pusztai affair. They staged a so-called peer-review - the first in the Society's 350-year history - but it was more of a hatchet job. The reviewers didn't even bother to look at all the research data. Dr. Pusztai told me he had offered to provide the complete findings and to meet with them to answer questions, but they refused. "a gesture of breathtaking impertinence to the Rowett Institute scientists who should be judged only on the full and final publication of their work." He called it a "reckless decision" that abandoned "the principles of due process". The team that the Royal Society assembled to do the review was telling. They had publicly announced that anyone who had previously commented on the Pusztai situation would be excluded to avoid bias, but then went ahead and included four people who had previously co-signed a letter condemning Dr. Pusztai. In addition, several members had financial ties to biotech companies, and four were co-producers of the Royal Society's controversial 1998 pro-GMO report that called for the rapid introduction of GM foods. The Royal Society also abandoned the normal protocols of choosing a review team with specific scientific qualifications to evaluate the study in question. Their members clearly did not have the relevant experience to review such a nutritional study. "is to mould scientific and public opinion with a pro-biotech line," and to "counter opposing scientists and environmental groups." Chassy and Tribe also name Fedoroff and Brown as the second so-called expert panel. They weren't a panel at all; they wrote a book, Mendel in the Kitchen, a devotional ode to biotech. Although the authors state in their introductory chapter, 'Which view will seem right to you depends on what you consider conventional, and on how you define the ways of nature,' the rest of the book attempts to convince readers that only one view is right." Again, Chassy and Tribe turn to their friends in the Royal Society for support, but as you can see in the photos, the cellular differences in the lining of the stomach and intestines were substantial. This potentially precancerous cell growth was seen in all the GMO-fed groups, but not the controls. "The results showed that rats fed the transgenic potatoes had significantly lower organ weights... Lymphocyte responsiveness was depressed in the animals fed the transgenic potatoes expressing GNA." As for statistical significance, only two statisticians have done an analysis with access to all the raw data: a member of Pusztai's research team and a member of The Lancet review team. Both determined that the results were statistically significant. By this time, Dr. Pusztai had designed and published 270 studies. The diet parameters for this study were consistent with other animal tests and practices. There was sufficient protein for the animals to grow, and the vast majority of the protein in the rats' diets came from the potatoes - which is the preferred way to expose potato-related problems. By contrast, in safety studies funded by the biotech industry, they often use too much protein. According to a 2003 paper (PDF) in Nutrition and Health that analyzed all peer-reviewed feeding studies on GM foods, the percentage of protein used in Monsanto's study on Roundup Ready soybeans was "artificially too high." This "would almost certainly mask, or at least effectively reduce, any possible effect of the [GM soy]." "It is therefore highly likely that all GM effects would have been diluted out." This was the primary study that Monsanto used to claim its GM soybeans were safe for human consumption. Different groups of rats received different diets. Chassy and Tribe may be referring to false accusations by Sir Aaron Klug, who attacked The Lancet editor for his decision to publish Pusztai's paper. Klug claimed that the design was fatally flawed because the rats received different protein content. It appears that Sir Aaron, as well as Chassy and Tribe, failed to actually read Pusztai's published study, which states that all diets had the same protein and energy content. Furthermore, the animals were pair-fed, meaning they were given the same amount of food. In contrast, biotech industry studies usually allow animals to eat as much as they want - which can also mask effects. Dr. Pusztai did vary the diets in ways that helped to isolate the cause of problems. In different experiments he fed raw, baked, and boiled potatoes. In all his experiments he used an additional control group: non-GMO potatoes (actually the parents of the GMOs) that were spiked with the GNA lectin. According to experts, Dr. Pusztai's variations made it superior to the design of other GMO safety studies. "remarkable in that the experimental conditions were varied and several ways were found by which to demonstrate possible health effects of GM foods." This feeble argument was also attempted in 1998 to distort the findings, but the studies design rules out this assertion. In trials where raw GM potatoes were fed to rats, the raw parent non-GMO potato was also fed to other groups of rats (either with our without added GNA lectin). Those fed the non-GMO raw potatoes did not suffer the fate of those fed the GMOs. If raw potatoes were at fault, all the rats would have been similarly damaged. The study did use three different potatoes. There was a parent non-GMO potato, and two GM potato lines created from the parent. The two lines were produced at the same time, under the same conditions, using the same GNA lectin transgene. But because of the unique and unpredicted effects of the GMO transformation process mentioned in Part 1, the two GM potatoes were not identical. One had the same protein content as the parent, but its "twin" had less. The Lancet actually tripled their normal number of reviewers to six. Chassy and Tribe falsely claim that multiple reviewers objected; in fact it was only one - GMO advocate John Pickett. The other five wanted the paper to be published. But Chassy and Tribe use the phrase, "objections of reviewers," falsely implying that multiple reviewers sought to stop the publication. "You may think that Tribe and Chassy are unaware of this, but you'd be wrong. David Tribe has published on his own blog the criticism of Pusztai's work by Nina Fedoroff, contained in her book Mendel in the Kitchen, where she concedes that The Lancet's 'editor, Richard Horton, stood by the publication [of Pusztai's paper]. Five of 6 reviewers had favored publication and he believed that it was appropriate for the information to be available in the public domain.'" Indeed, the key point of that critical analysis is that more studies were needed to isolate the cause of the profound damage to the rats. Bravo. Of course more studies were needed. But Dr. Pusztai was turned down in his request for follow-up funds. In fact, no one has yet applied his advanced safety testing protocols to the GM foods already on the market to see if they cause the same damage in rats or humans. "Particular attention must be given to the detection and characterization of unintended effects of genetic modification." The authors specifically recommend the use of new technologies that can analyze holistic changes in gene expression, protein production, and metabolites. "Inferences about such [side] effects can no longer be based solely on chemical analysis of single macronutrients and micronutrients and known crop specific antinutrients or toxins." That was published 11 years ago. But biotech companies still refuse to employ these modern holistic detection techniques to see if there might be new allergens, toxins, carcinogens, or anti-nutrients in the GMOs that millions of people eat everyday. In 2007, independent scientists finally published a holistic protein analysis of one GM crop, Monsanto's Mon 810 Bt corn, which had been fed to consumers for the previous 10 years. "the insertion of a single gene into a [corn] genome," 43 proteins were significantly increased or decreased. "Moreover, transgenic plants reacted differentially to the same environmental conditions... supporting the hypothesis that they had a strongly rearranged genome after particle bombardment" by a gene gun. "deletion and extensive scrambling of inserted and chromosomal DNA." That allergen was not found in the natural corn, however. The gene that produces gamma zein is normally shut off in corn. But somehow it was switched on in Monsanto's variety. That means that some people who are not normally allergic to corn might react to GM corn (which, of course, is unlabeled in North America). "exhibited truncated forms having molecular masses significantly lower than the native ones." Such alterations, which they describe "as a major concern," may transform harmless proteins into a dangerous ones. Furthermore, their presence in GM corn means that truly massive unexpected side effects have taken place in the plants' biochemistry. "Perhaps in some misguided sense of fairness or balance, some journals have published unsound papers that make claims about the safety of GM crops... Peer-review is not always a guarantee that researchers' conclusions are sound." "level of the GM soy was too low and would probably ensure that any possible undesirable GM effects did not occur." In one of the trials, for example, researchers substituted only one tenth of the natural protein with GM soy protein. In two others, they diluted their GM soy six- and twelve-fold. According to Dr. Pusztai, who had published several studies in that same nutrition journal, the Monsanto paper was "not really up to the normal journal standards." "It was obvious that the study had been designed to avoid finding any problems. Everybody in our consortium knew this." Monsanto researchers tested the GM soy on mature animals, not young ones. "With a nutritional study on mature animals," says Pusztai, "you would never see any difference in organ weights even if the food turned out to be anti-nutritional. The animals would have to be emaciated or poisoned to show anything." But even if there were organ development problems, the study wouldn't have picked it up. That's because the researchers didn't even weigh the organs, "they just looked at them, what they call 'eyeballing,'" says Pusztai. "I must have done thousands of postmortems, so I know that even if there is a difference in organ weights of as much as 25 percent, you wouldn't see it." In fact, according to Nutrition and Health, "No data were given for most of the parameters." The paper didn't even describe the exact feed composition used in the trials - normally a journal requirement. When Monsanto analyzed the composition of GM versus non-GM soy, instead of comparing test plots grown side-by-side, Monsanto pooled data from many sites and climates. This makes it extremely difficult to achieve statistically significant differences, due to the high variability. Although the paper referred to one side-by-side test plot, for some reason the data from that study was not in the article. Years later, medical writer Barbara Keeler discovered the missing data from the journal archives and found out why it had been kept hidden. The omitted evidence not only demonstrated that Monsanto's GM soy had significantly lower levels of protein, a fatty acid, and an essential amino acid, their toasted GM soy meal contained nearly twice the amount of a soy lectin, which can interfere with the body's ability to assimilate nutrients. Furthermore, a known soy allergen called trypsin inhibitor was as much as 7 times higher in the toasted GM soy, compared to non-GMO soy! According to Keeler's opinion piece published in the Los Angeles Times, the study had several red flags and "should have prompted researchers and the FDA to call for more testing." But the FDA never got the data. "a much better-designed study than the industry-sponsored feeding studies I have seen in peer-reviewed literature that deal with Round-Up Ready soybeans or Bt corn." Dr. Pusztai's research showed that the unpredicted side effects from the process of genetic engineering were the likely cause of the damage to his rats. This has been the big sore spot for the biotech industry, which produces its GMOs using the same process. "the very process through which the plants are put during the introduction of the transgene... can cause marked changes in both the structure and expression of genes." She is referring to the process of "tissue culture," where a gene-spliced cell is cloned into a plant. Both the insertion of the gene and the subsequent cloning can cause significant, unpredictable changes. Of the two, the cloning creates more DNA mutations. "The likeliest source of the variation he [Pusztai] detected... was the culture procedure itself." The mutations are unique to each GM plant line, but even massive disruptions do not necessarily mean that a particular GMO is unsafe. It could even be healthier. It's a genetic roulette. Therefore, Chassy and Tribe are technically correct: even though the GMO transformation process is unpredictable and inherently risky, not every GM crop is necessarily hazardous. "new materials and new varieties derived using culturing techniques must be evaluated for both their growth and their food properties." The trouble is, the superficial studies conducted on GMOs miss most of the potential problems. This stance is taken despite good reasons to believe that specific risks may exist... Governments should never have allowed these products into the food chain without insisting on rigorous testing for effects on health. The companies should have paid greater attention to the possible risks to health." True, they never went to market. But if by using the term "research project," Chassy and Tribe, like others before them, are implying that the potatoes were never intended to be introduced, that is false. What's quite telling is that if these same hazardous potatoes had been evaluated in the same superficial manner that biotech companies normally test their GMOs, the spuds would have easily landed on supermarket shelves. This was made apparent to Dr. Pusztai about two years into his research. He was asked to review several confidential industry studies that were used to get GM soy, corn and tomatoes approved in the UK. Reading those studies, he says, was one of the greatest shocks of his life. The studies were so superficial, so poorly done, he realized what he was doing and what industry was doing were diametrically opposed. "I was doing safety studies," he said. "They were doing as little as possible to get their foods on the market as quickly as possible." Yes, and Dr. Pusztai's study was published. But the safety research conducted by the biotech industry is almost never published. It is usually submitted in secret to regulatory authorities and neither peer-reviewed nor available for public inspection. "So we leave it completely to the advisory committee and its good members to take all of these decisions on our behalf, where all of the evidence comes, simply, in good faith, from the commercial companies? There is a hollow democratic deficit here, is there not?" "We must not underestimate the financial and political clout of the GM biotechnology industry. Most of our politicians are committed to the successful introduction of GM foods. We must therefore use all means at our disposal to show people the shallowness of these claims by the industry and the lack of credible science behind them, and then trust to people's good sense, just as in 1998, to see through the falseness of the claims for the safety of untested GM foods." The bastardization of science is not unique to GMOs. It's pervasive. Consider these numbers. One third of the 500 UK scientists surveyed had been asked to change their research conclusions by their sponsoring customer. And these folks worked in government or recently privatized institutes. "A study of major research centers in the field of engineering," according to The Atlantic, "found that 35 percent would allow corporate sponsors to delete information from papers prior to publication." "more than a third of the authors had a significant [undisclosed] financial interest in their reports." We have seen how corporatized research of drugs has resulted in hundreds of thousands of deaths and disease. But hazards in our food supply, especially those that persist in the environment generation after generation, may dwarf the other problems we've seen. Exposing the truth about GMOs is absolutely urgent. "The problems with GM foods may be irreversible and the true effects may only be seen well in the future. The situation is like the tobacco industry. They knew about it but they suppressed that information. They created misleading evidence that showed that the problem wasn't so serious. And all the time they knew how bad it was. Tobacco is bad enough. But genetic modification, if it is going to be problematic, if it is going to cause us real health problems, then tobacco will be nothing in comparison with this."